Chris was born and raised among corn fields and coal mines in southern Illinois. He grew up a math nerd and science fiction fan, eventually attending Hogwarts for hackers: the Illinois Mathematics and Science Academy. While there, he fell in love with the Russian language. Chris received a BA in Russian literature from Knox College and set off on a career in management consulting, focusing primarily on the hospitality, leisure travel and gaming industries in the United States, France and China. A life-changing experience consulting for an education nonprofit convinced Chris to work in K-12 education. Since earning an MBA in corporate finance and decision sciences from Duke University’s Fuqua School of Business, he has served as director of finance and operations for the Thomas B. Fordham Institute and chief operating officer of the Maya Angelou Schools and See Forever Foundation. In April 2016, Chris joined 50CAN as chief financial officer. He lives in Silver Spring, MD, with his wife and daughter and spends his scarce free time translating 19th century Russian literature. As a central figure of the civil rights movement, Dr. Thurman moved between providing thought leadership as an academic theologian and doing hard on-the-ground work on racial reconciliation, eventually leaving higher education to found one of the earliest and most prominent interracial churches in the United States. I am inspired by his conviction that the marginalized are powerful, and that those who fight for equality from a position of greater privilege must respect their resources and vision for improving the world. The level of talent, attention and leadership flooding into improving education is truly inspiring. Everywhere I turn, I find smart colleagues with creative ideas and diverse backgrounds contributing to one of our nation’s most important opportunities for positive change. I love working on these issues as a finance and operations leader because it has given me the opportunity to be right in the thick of education reform, in policy and execution. I attended public schools from kindergarten through high school, and I credit the many amazing teachers and leaders I had during that time for propelling me forward in life. I feel especially privileged to have attended the Illinois Mathematics and Science Academy, a shining example of how public schools of choice can change the world. As an adult, I have served on the board of a public charter school in D.C. and led a network of charter schools through a turnaround, major facilities renovation and other challenges. I love the work and expect to support public education professionally for many years to come. My digital life (email, calendar, computer files) is organized, but my desk is perpetually a mess. I do always know where everything is, but I live in fear that some kind soul will straighten up and leave me scrambling to find everything! 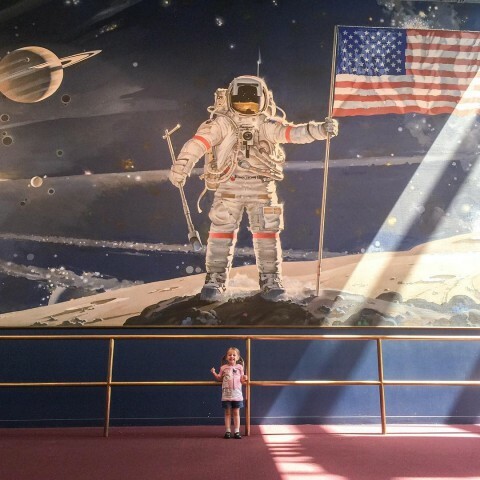 My daughter wants to go to Mars. That is an exciting and incredibly challenging goal. Thankfully, she will have the chance to attend fantastic public schools to get her started on that journey. Every kid deserves to have a real shot at realizing their dreams, which means public schools everywhere need to be stronger and more responsive to individual students’ needs.